On October 11th, the Saints had stood toe to toe for a half with the Eagles, including a nifty pair of red zone interceptions by Delvin Breaux and Brandon Browner. In the ensuing 30 minutes, Coach Chip Kelley’s up tempo offense fired precisely on all pistons and the visitors got pummeled by double digits. The final score was 39 – 17 but could have been worse. At a paltry 1-4 this early in the schedule, Saintly spirits were low. One wondered if the team plane returning from Philadelphia would safely hit the tarmac out at Moisant International. Or if Drew Brees should be dealt with not next February 1, when his $30 MM contract is up for salary cap consideration (about a 4th of the entire team’s allocation), but dealt to another team by the league’s pending trade deadline in the coming weeks, while there was still some value to get for him. Though the win will not be historically relevant insofar as a title run, given the swirl of negativity engulfing the Saints preceding it, that week’s coaching job by Sean Payton and his staff was among the best ever during his decade here. The club hunkered down, ignored the extensive and just criticism, believed in what they were doing, and reminded us that if you do that and just keep playing, good things can happen. That was a capable and poised outfit, what we had hoped to see from Week 1. A workmanlike win over the Colts and an Arena Ball display of offense over the Giants upped the record to .500. The trend was zip zaggedy, but up. A last minute field goal by Kai Forbath was partially blocked, enabling inferior Tennessee to beat the Saints in overtime on Poydras St. As the game wore on, one could see this train coming a mile away; the Titans simply wanted it more. Up in Washington, Redskin #31, Matty Jones, received a swing pass and weaved his way through about 7 Saints, 78 yards to the end zone. The defenders weren’t so much as being blocked as they were skating side to side and backwards, as if fooling around on an ice rink in a park somewhere in D.C. If not comical, this was pitiful, really was. The ‘Skins turned up the heat, and the Saints imploded, a few days coincidental to the cowardly terrorism in Paris. Forty Seven to Fourteen. Of course coordinator Rob Ryan had to go. By the week, the stats run up versus them got record breaking and downright offensive. A shame though, as he was likeable, and had plenty of N’Awlins in him, doing wonders for the unit when he arrived in ‘13. In his defense, he was never allowed to utilize the 3 – 4 alignment, which is how he earned his stripes in previous stops. Though subtle, the 34 is significant in the kinds of personnel skill sets best on the field by down and distance. Perhaps the team would have accumulated more and better linebackers and edge rush types, an area they remain wafer thin after many years. Perhaps tackling machine and legit leader–by-example Curtis Lofton would not now be plying his wares in Oakland, an off season loss underestimated by the front office, coaches, media, and the fans. Everybody was too enamored with Jimmy Who nonsense. If left unfettered by the producers, and if he isn’t afraid to incidentally rub somebody the wrong way, Ryan should be an entertaining commentator in his new gig on the NFL Network. In his initial TV sit down, he intimated he got blamed for everything in New Orleans including Katrina. With an underwater start, some bobs up for fresh air, and a return to the depths, after just 10 games, we have already seen A Tale of Three Seasons. But there will be no Super Bowl at the end, much less playoffs. A year later, after major self evaluation, in house cleaning and renovation, what’s different about the franchise? Unfortunately, Nada Mucho. A couple of factors come to mind first. Just two games (losses) broke a season, right in the middle of it. This speaks volumes of the fine lines and parity in the league. Had New Orleans just gotten by a pair of beatable opponents, a remaining outlook with a 6 – 4 record would have quite a different complexion to it. The team would meaningfully be rebuilding and competing at the same time. More poignantly, there is something glaringly wrong, and has been increasingly so since 2011, with the team’s competitive disposition. Regardless of who has been out there, the players have dressed up in their shiny unis, tied their cleats, buckled their chin straps, taken the field, and promptly – expected somebody else to make a play. How many times have you seen the Saints come out not ready to compete? We’ve seen it plenty, more than the league norm. This has been the essence of the “inconsistent” and “complacent” Saints, those that have “lacked urgency”, or “competitive fire”, or playing up and down to the level of their competition. And yes, has provided some good theater along the way. At whose feet does this lie? One could contend the messages from Sean Payton and his staff have gotten stale after 10 years, not uncommon in the NFL (broached on in the last post). Or that mixed signals from management, such as perceived inequitable purse distribution, or in house alliances with personality plays and fences around the offices, such as the Benson family ownership war, have grated into the back of the players’ minds, negatively affecting what is or isn’t expected – or tolerated. The effectiveness of the organizational “culture”, that bragged about so often up in New England. The subconscious of a player, especially collectively as a team, is an intangible though potent inertia, instrumental in motivation or lack thereof, and in resultant victory or defeat. 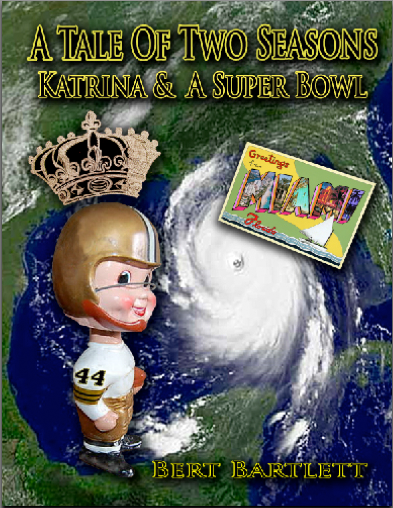 It was the Twelth Man for the Saints when they won it all in 2009, the team inspired for a yearning Post Katrina city, too. Then again, coaches or management don’t block and tackle. So the players themselves, especially as pros, bear plenty of the weight in what has gone astray on Airline Drive. But make no mistake about it, there is a malaise in the building, and it will be difficult to eradicate. We could also put it at the foot of Marie Leveaux’s tomb, somewhere in St. Louis Cemetery…and proceed to rub some rosaries. What’s left of the 6 remaining games? Well, if you are paying attention, an abundance of typical moral victory spin. Payton at the podium: We will always and continue to play to win, regardless of the circumstance. Next question? Brees: We have great character on this team. We’ll get it right. Even if for next year. Others: Guys have to play for pride. Hey, these are our careers. We want to win for the true fans. Yatta yatta. Ugh. As soon as they are mathematically eliminated from the post season, it would be wise to play the promising rookie quarterback Garret Grayson for real time experience; pre-season is never the same. It’s not like we do not know what #9 is capable of at this stage and the injury risk reward ratio is poor. But that would entail infinite needling from the media about what the future holds. The incessant queries about Brees alone would be nauseating. It won’t happen. There is some drama about whether Coach Payton will be back, or as recklessly speculated, whether he is off to Miami, Indy, or even USC (to be near his daughter in college). We hope not. Though hardly perfect, Sean Payton is a very good football coach and we’ve been fortunate to have him. We like to feel – that he feels – he has more aspirations to fill here. The NBA’s Pelicans are off to a league headlining abysmal start, following what may be a dire miscalculation in the selection of a new coach. It’s not even December and they are bottom feeders, already long shots for a low playoff seed late next spring. Saint General Manager Mickey Loomis overseeing the basketball operation lends a parsimonious compensation image to the Bensons, and once upon a time that may have been true. But today, it just seems like the corporation of sport gone amok. In deference to the current state of both clubs, someone else should be looking after the Pels, most definitely with a hoops background of some kind. Though gloomy at the moment, the climate ultimately never trends the same. That is the best news for Crescent City sports fans as we look to 2016. Posted in Crescent City, Drew Brees, New Orleans, New Orleans Pelicans, New Orleans Saints, NFL, Pro Football, Rob Ryan, Sean Payton. from the faraway sidelines in paris happy t-g to the soul!